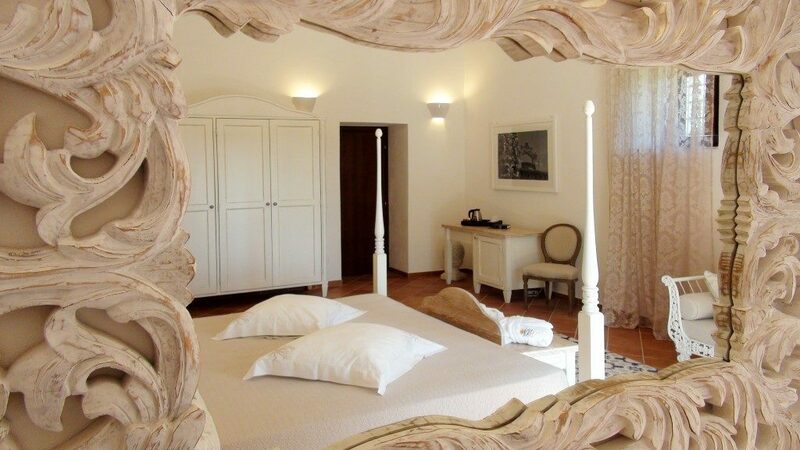 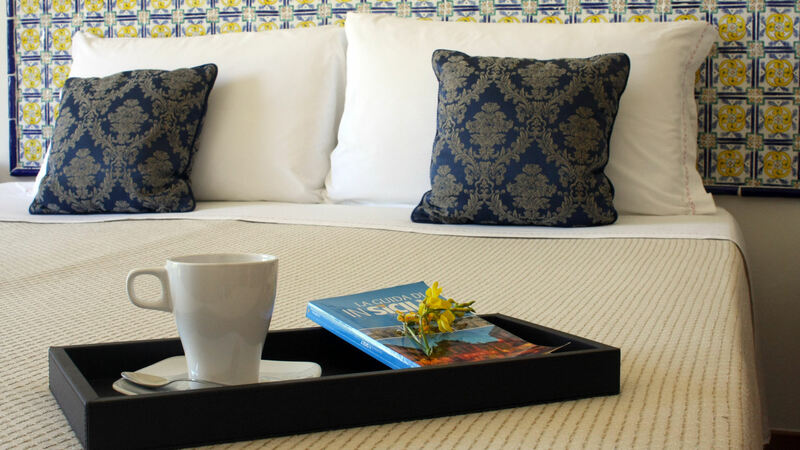 All our 36 rooms carry the name of a Sicilian place as a tribute to the beauty of this island. 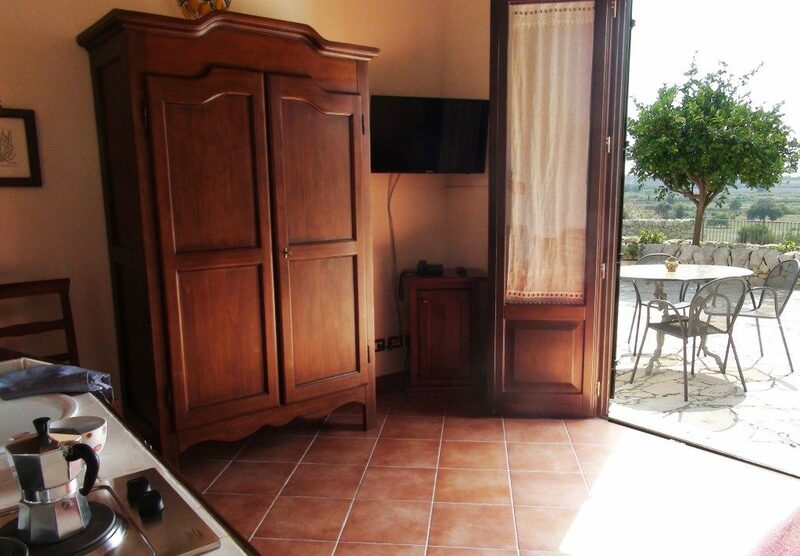 The furniture is simple yet different in every room. 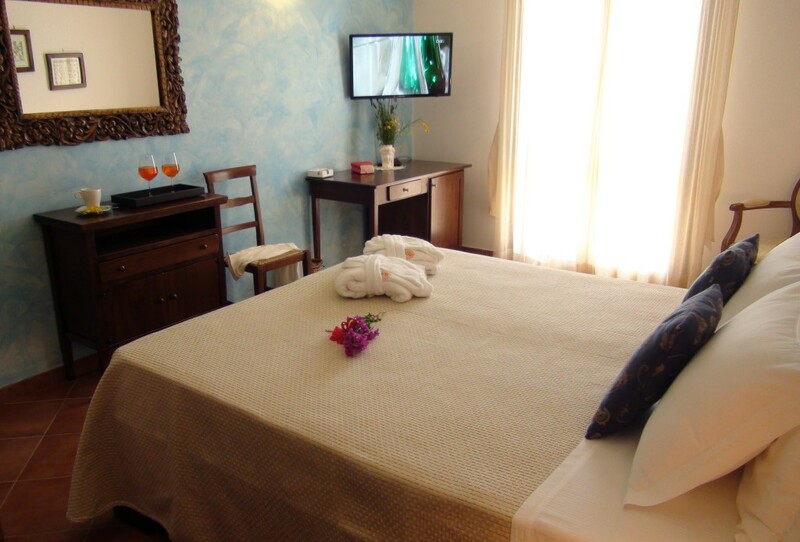 The hotel offers various types of rooms, one suite and an exclusive villa. 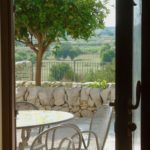 These rooms open on the inner courtyard, on the herb garden, on the surrounding countryside and on the decorative garden. 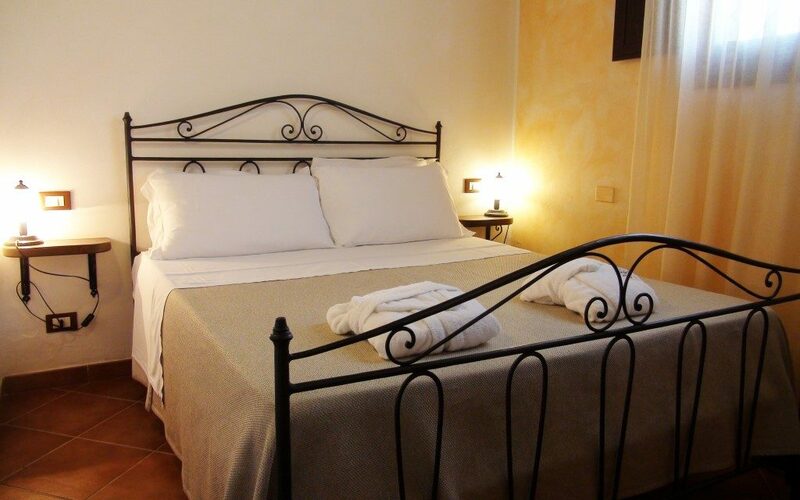 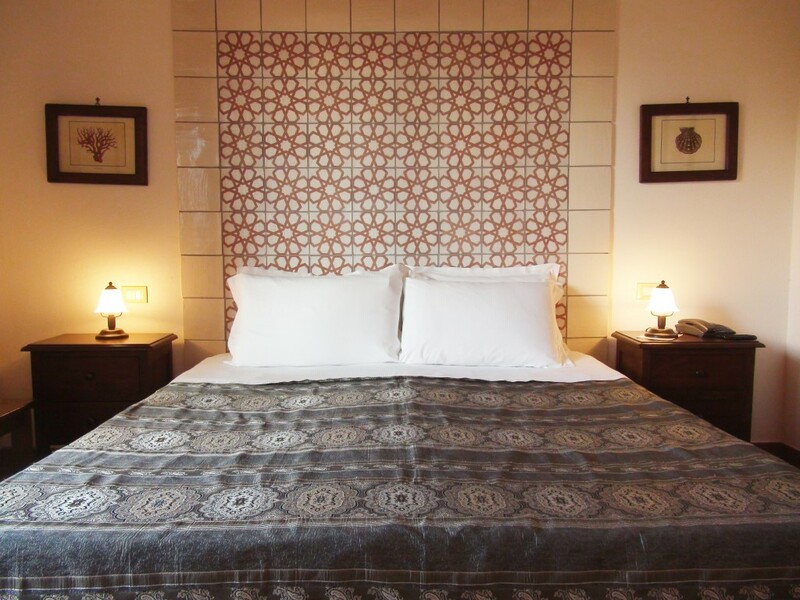 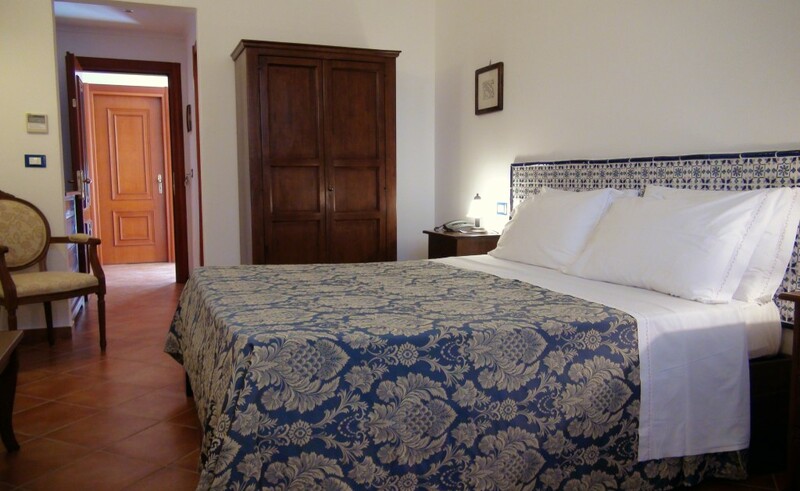 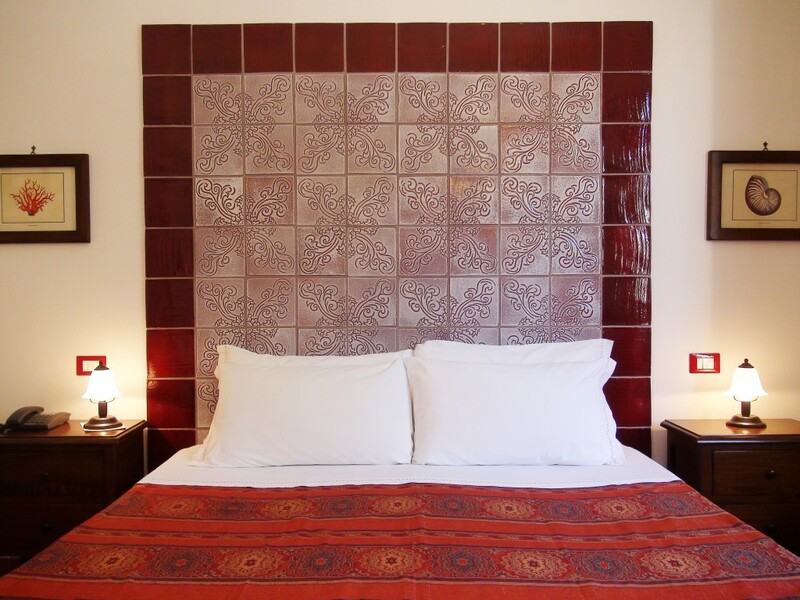 All different, some have wrought-iron beds, some wooden beds and some beds with details in Caltagirone terracotta. 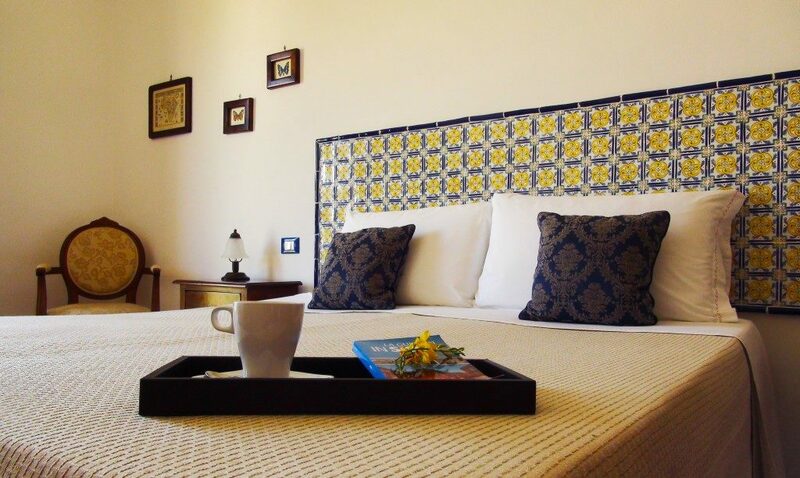 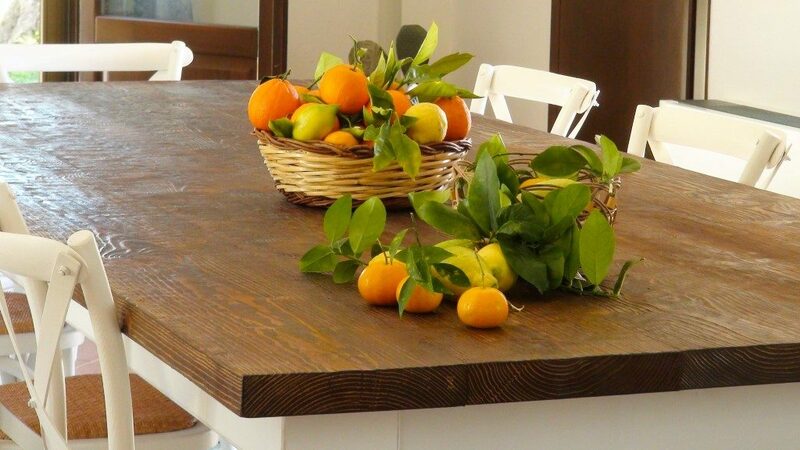 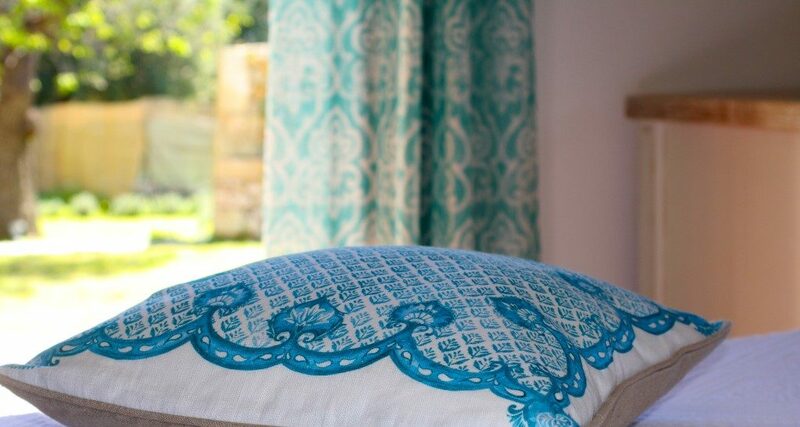 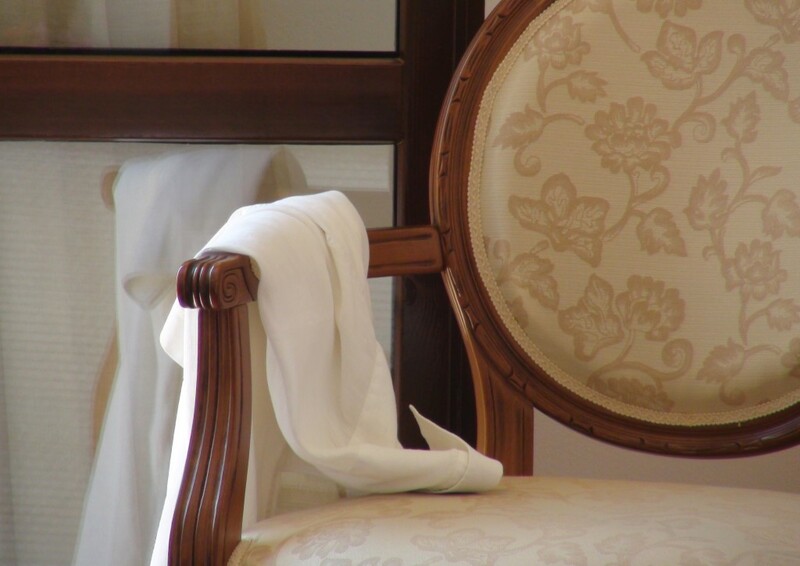 The furniture is traditional, recreating the charming Sicilian atmosphere. 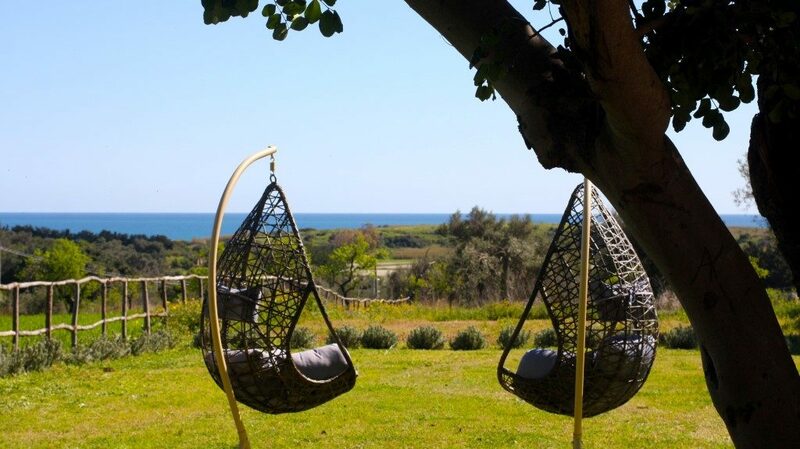 On the first floor, these rooms have views of the beautiful Vendicari Reserve and of its sea creating a unique experience for our visitors. 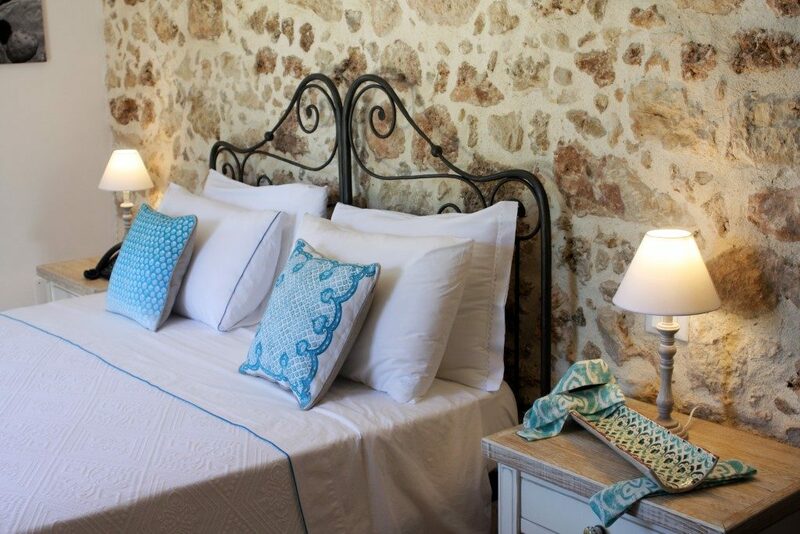 Four rooms are located in the old building while the other four are on the first floor of the new building. 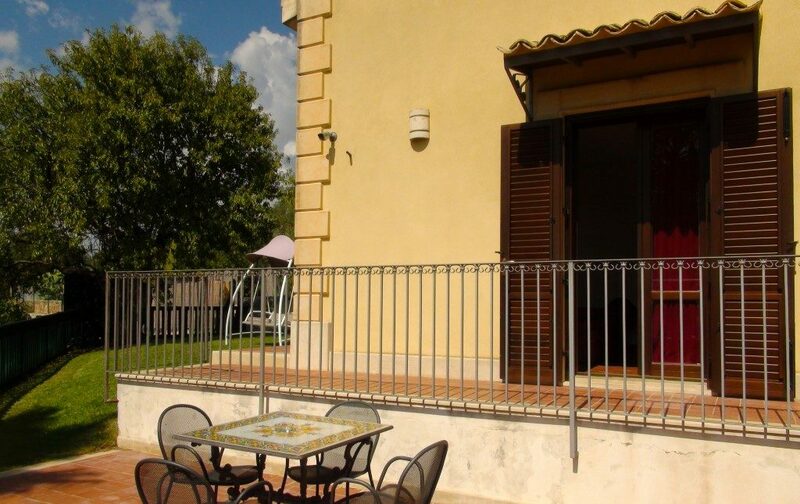 All have a private little balcony or terrace with table and chairs. 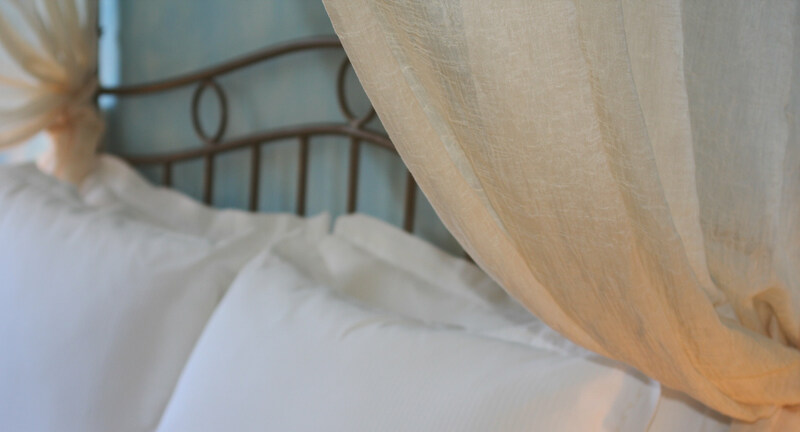 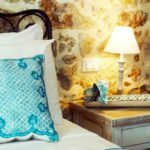 Four romantic rooms (Ciclopi, Donnafugata, Erice and Selinunte) have canopy beds and extra comforts for a more intimate and private holiday. 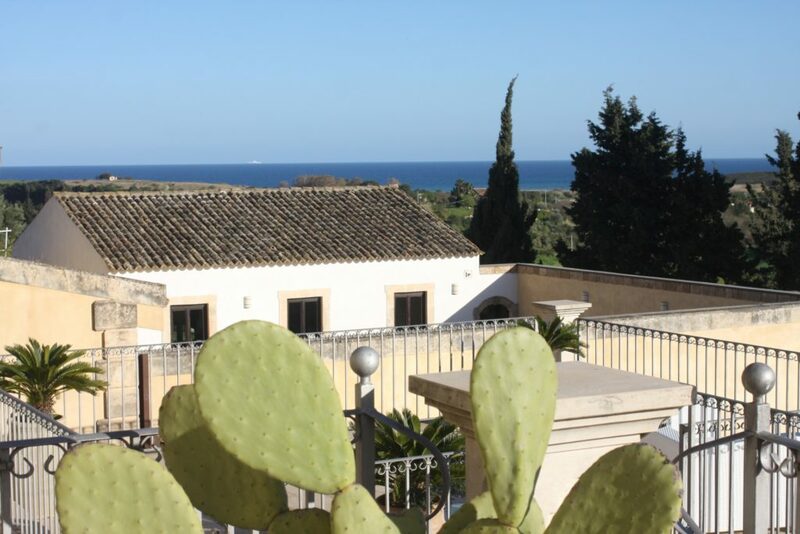 Erice and Selinunte are in front of the old palmento and have a view of the Vendicari Reserve. 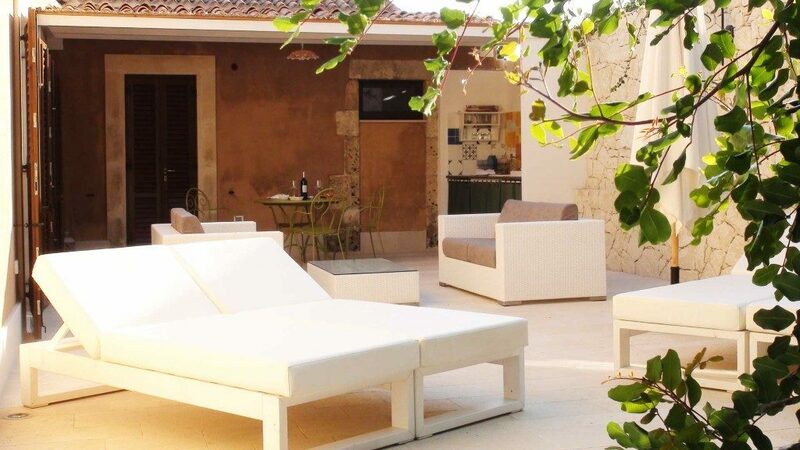 Ciclopi and Donnafugata have their outdoor spaces with table and chairs in the inner courtyard. 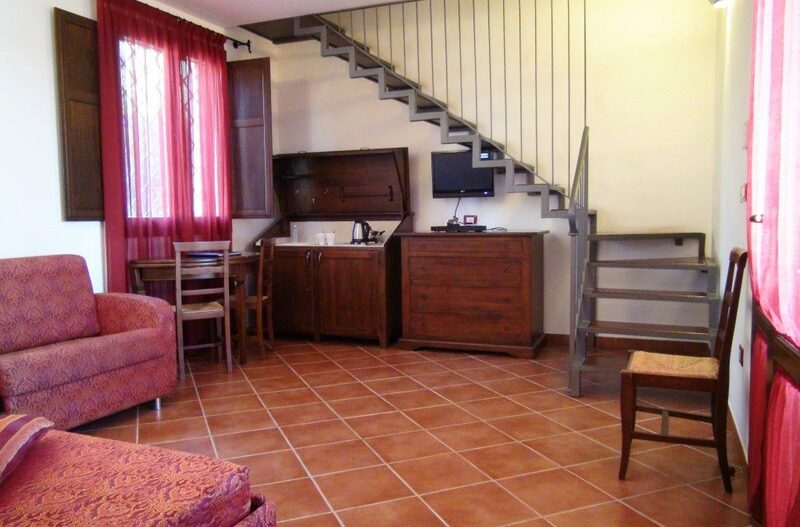 A two-storey apartment. 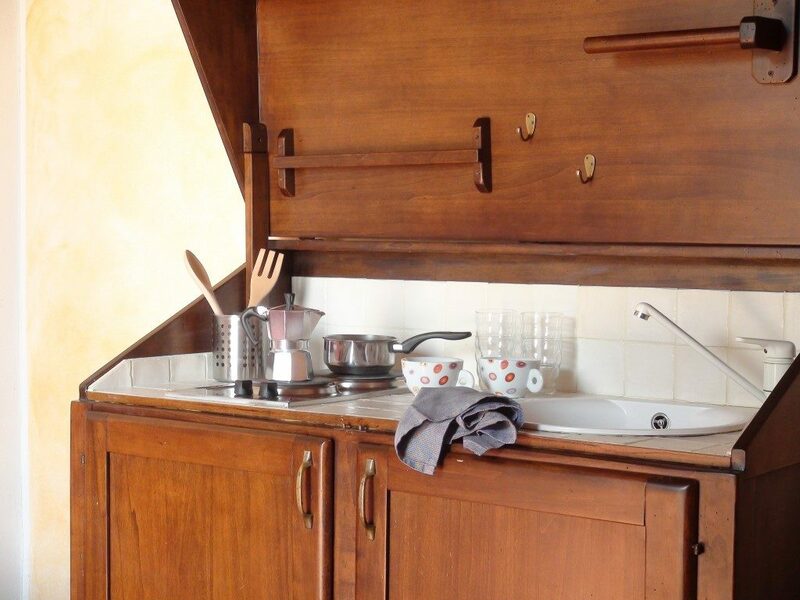 On the ground floor, there is a kitchenette with electrical hob in the living room (to be used for children and small family needs, not for cooking). 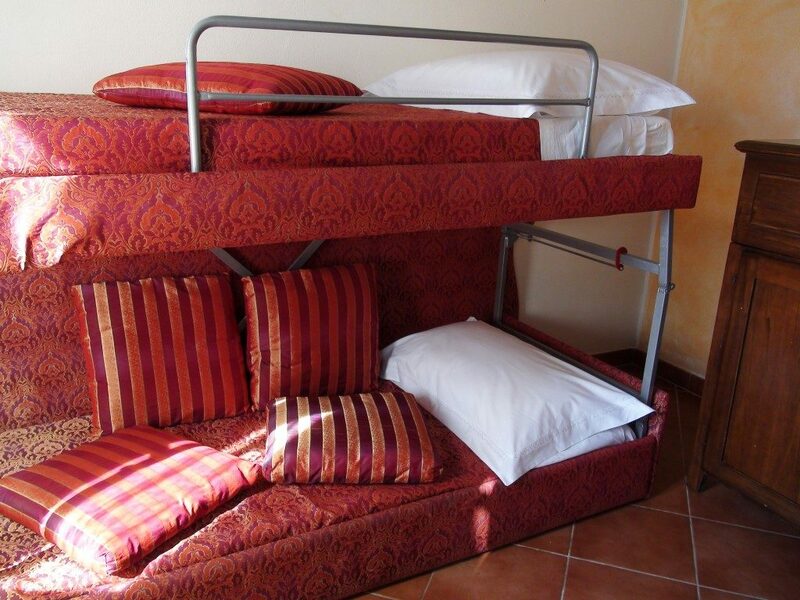 There’s a sofa bed that can be converted in a bunk bed and a chair bed providing an extra sleeping accomodation. 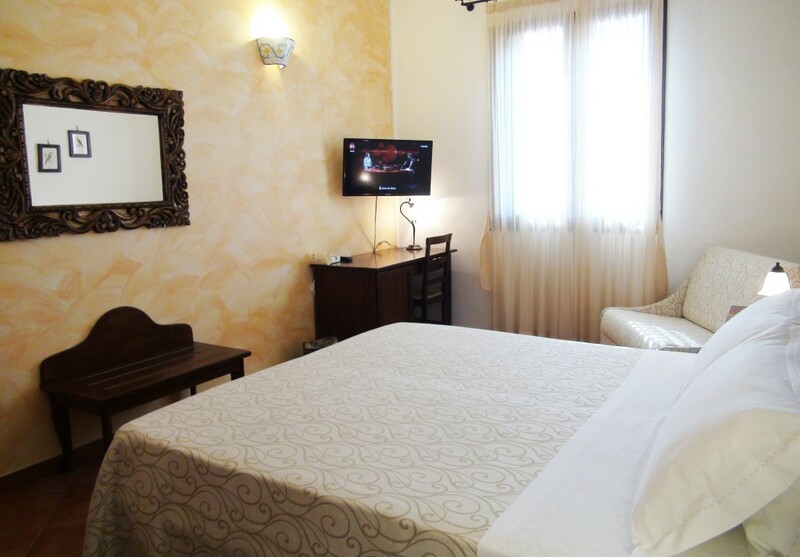 On the first floor, the master bedroom has all the comforts of the hotel. 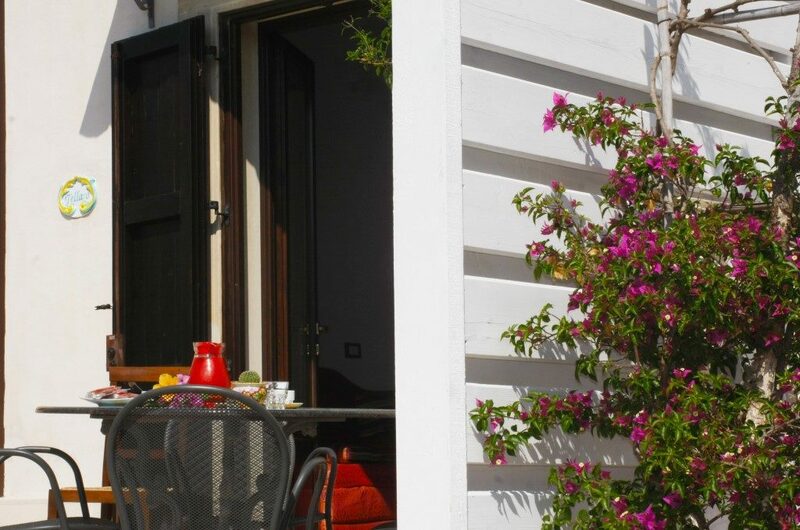 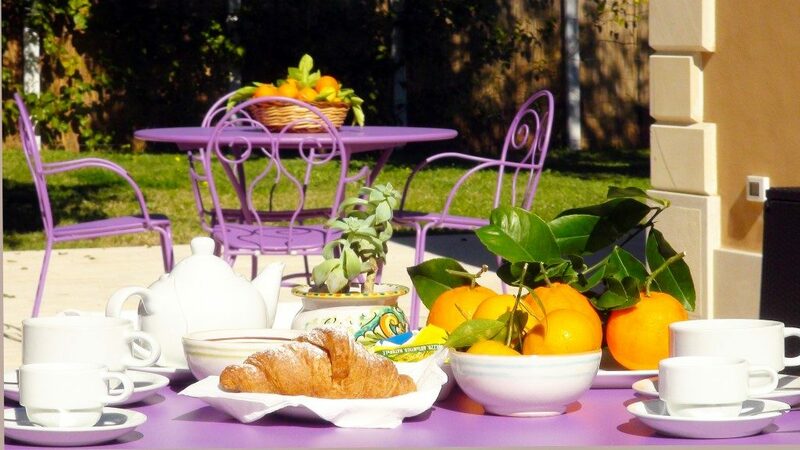 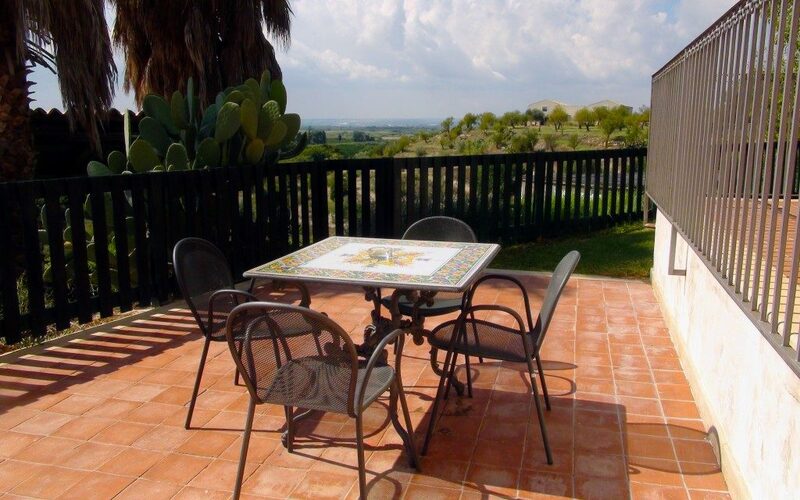 Outside, guests have their private lawn and a terrace with a beautiful view of the Sicilian countryside. 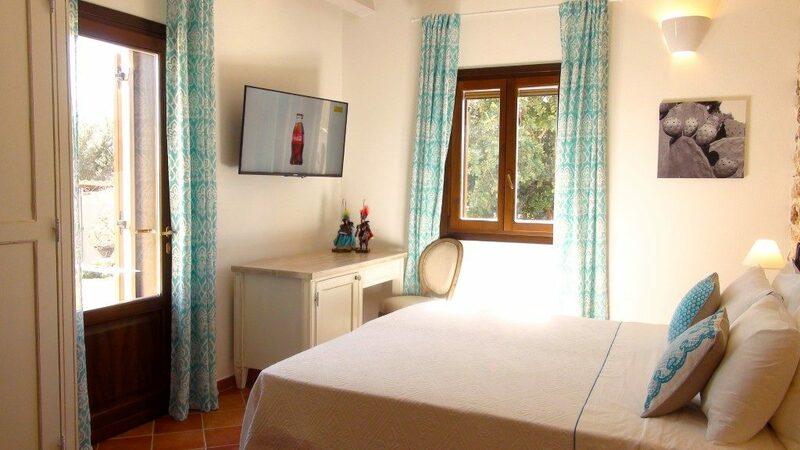 45 square meters with furnished terrace and garden. 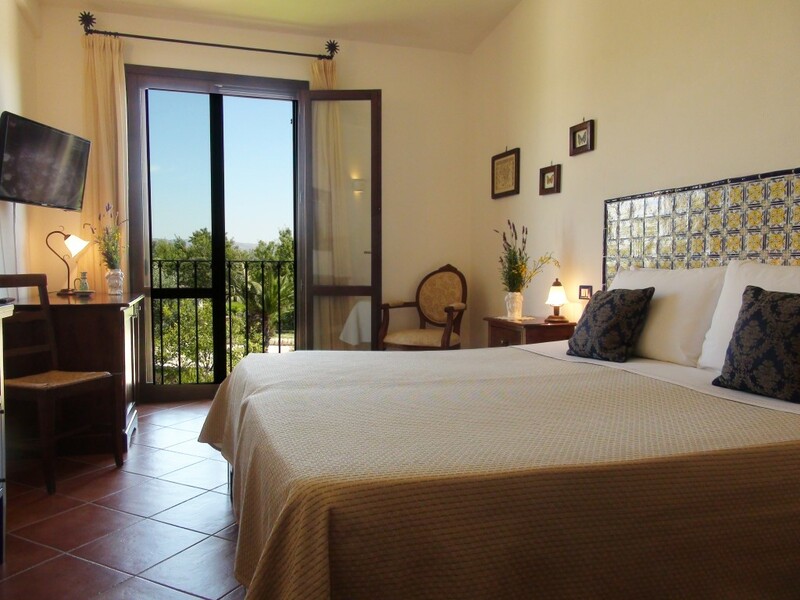 The apartment is on the ground floor of the hotel. 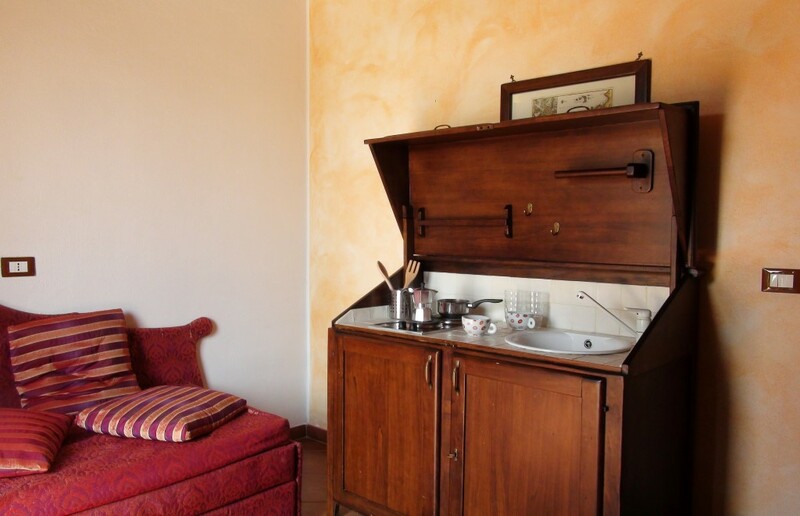 The entrance has a sofa bed that can become a bunk bed and a kitchenette with electrical hob (to be used for children and small family needs, not for cooking). 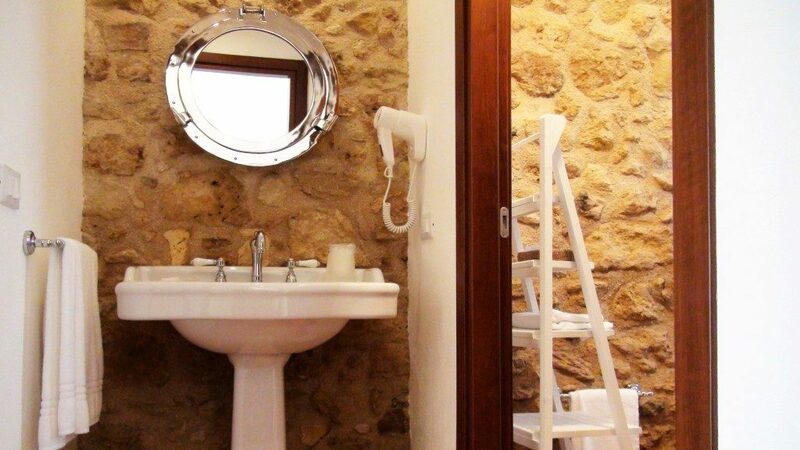 Another small entrance connects the master bedroom and the bathroom. 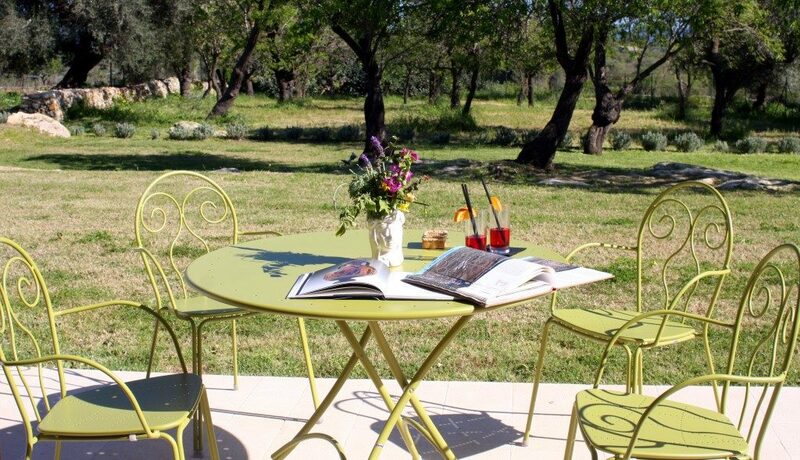 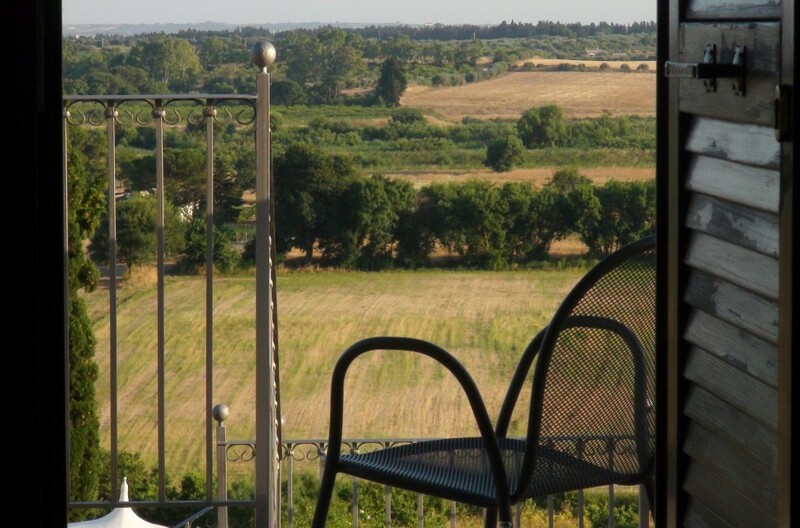 Outisde, a private area is furnished with table and chairs and gives a view of the Vendicari landscape. 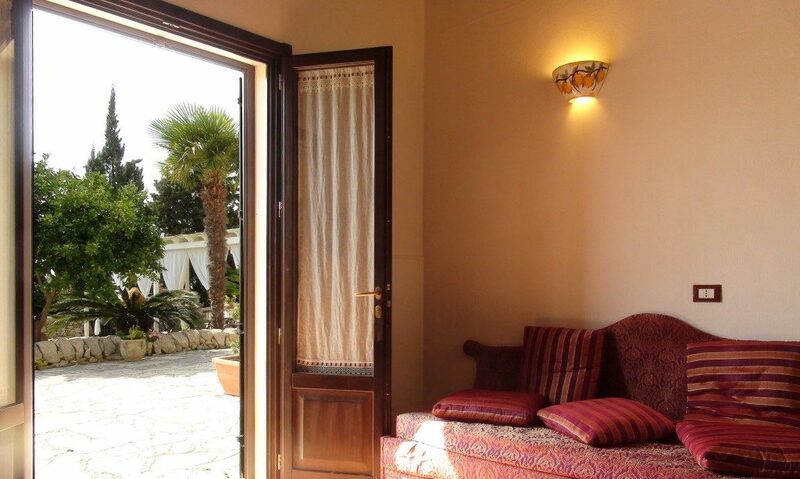 30 square meters with private and furnished outdoor area. 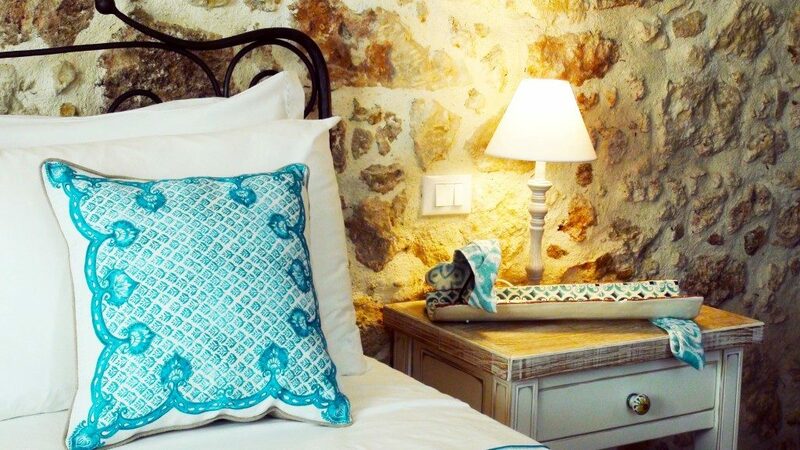 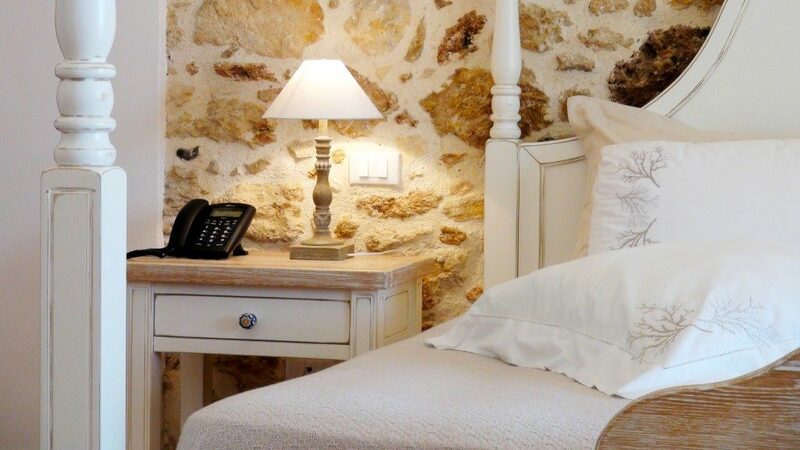 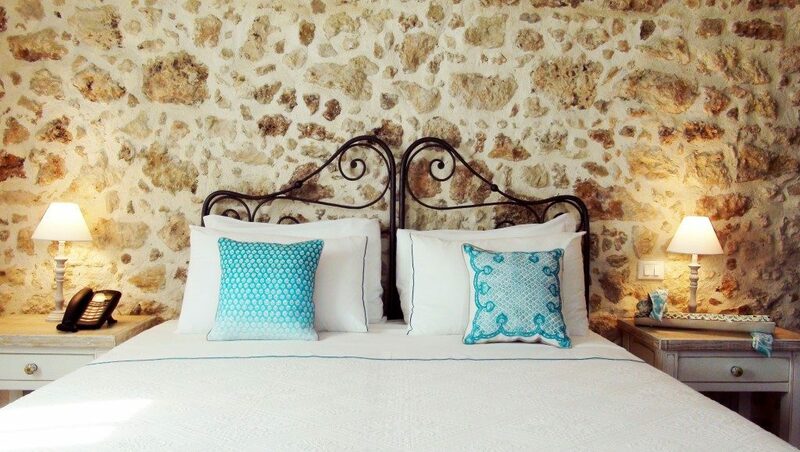 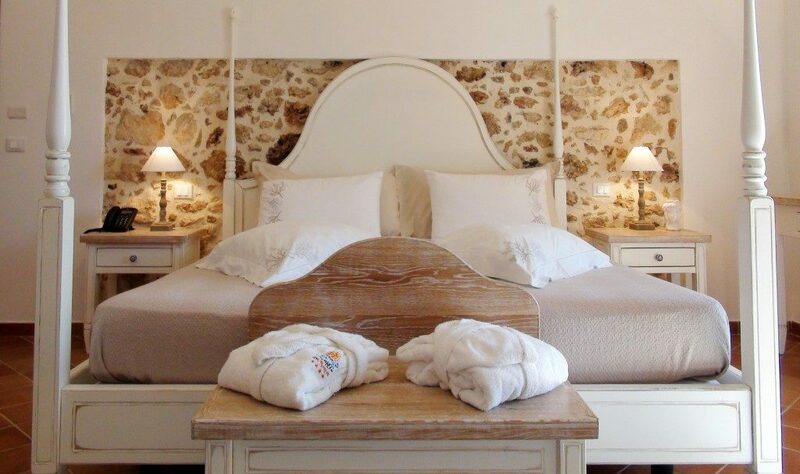 Splendid details of style like the stone walls and the colours of the textiles give a strong character to this suite composed of a big 30 square meters room with a double bed and a single sofa bed and a 15 square meters room with a double sofa bed. 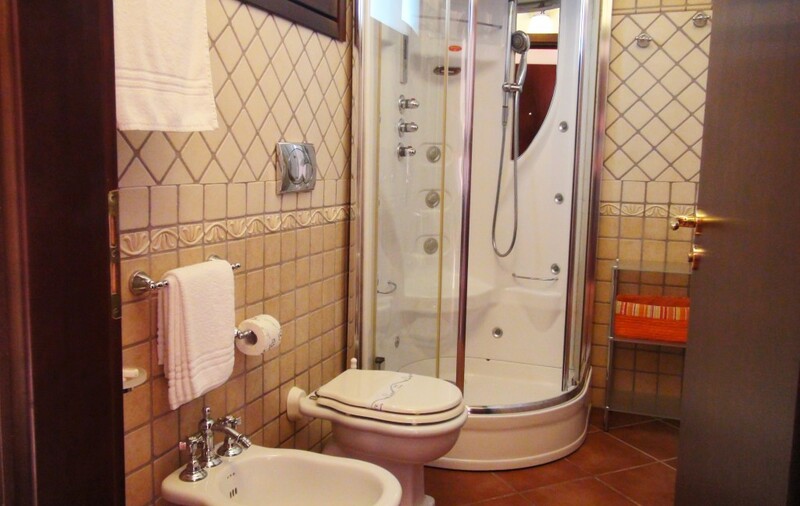 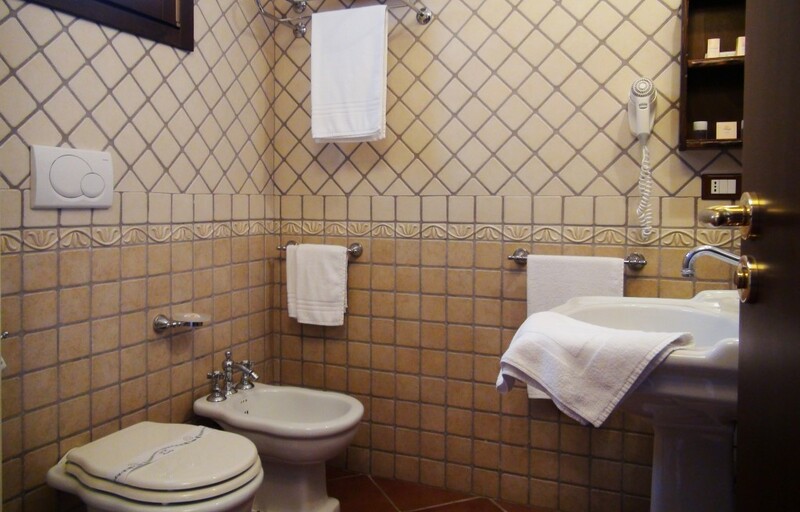 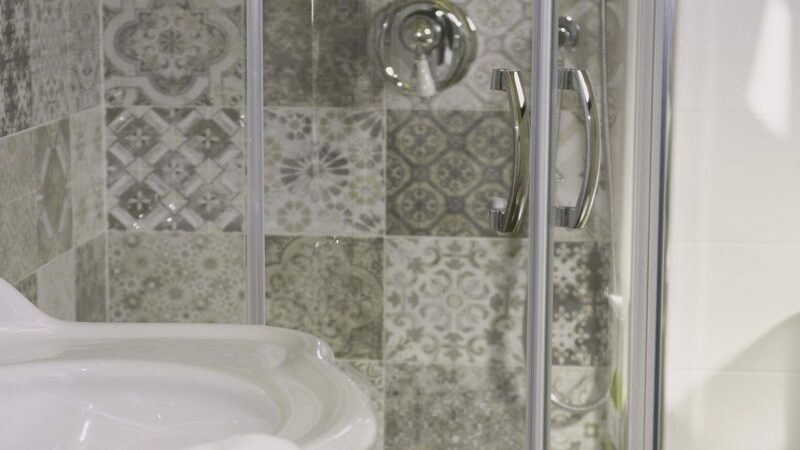 An ample bathroom serves both rooms. 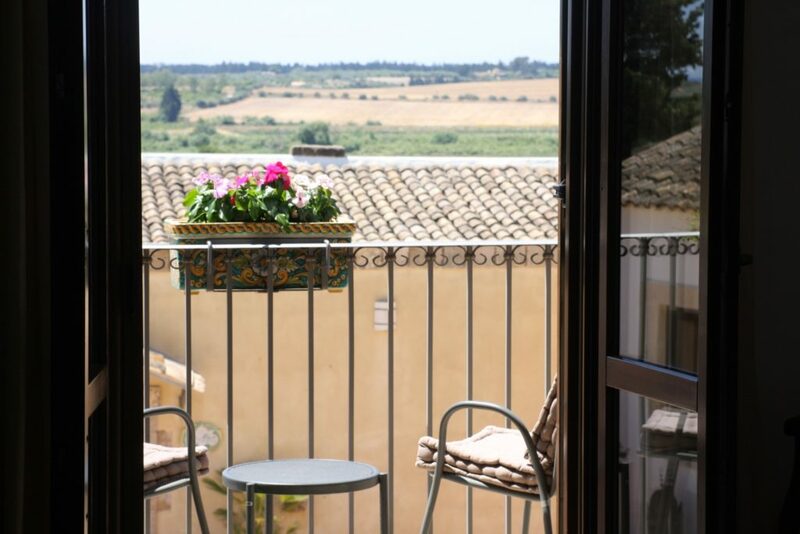 Outside, the Calabianca suite has a private area with view of Vendicari and another big patio facing North, perfect for moments of relax. 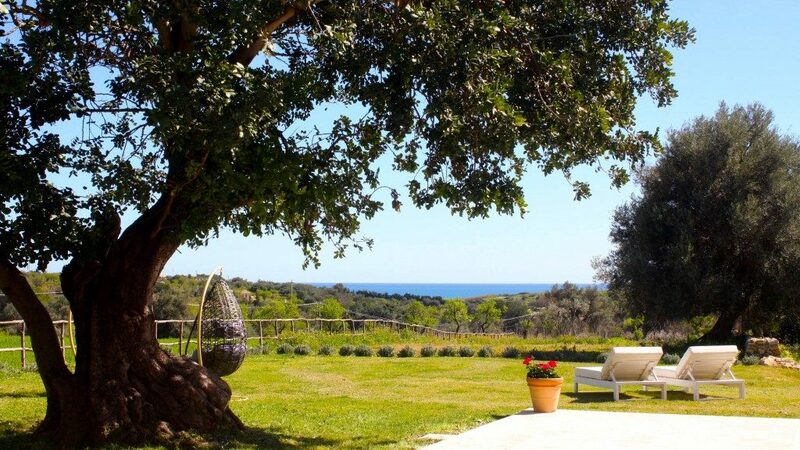 A private garden gives the possibility of breathing in the amazing view of the countryside and of the sea in an intimate atmosphere. 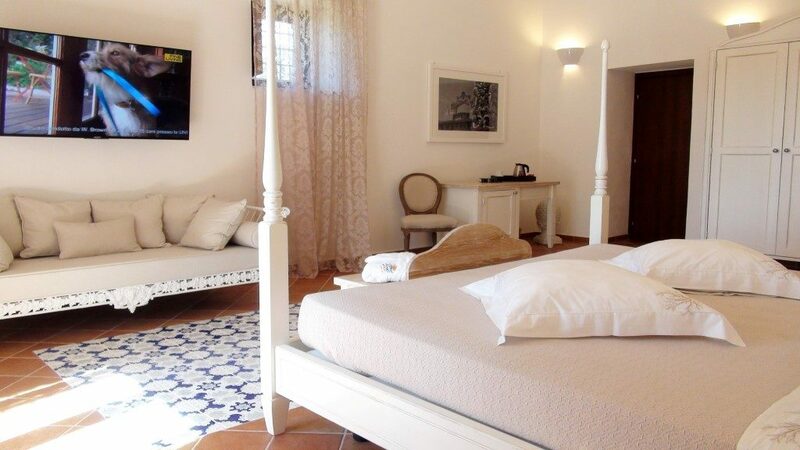 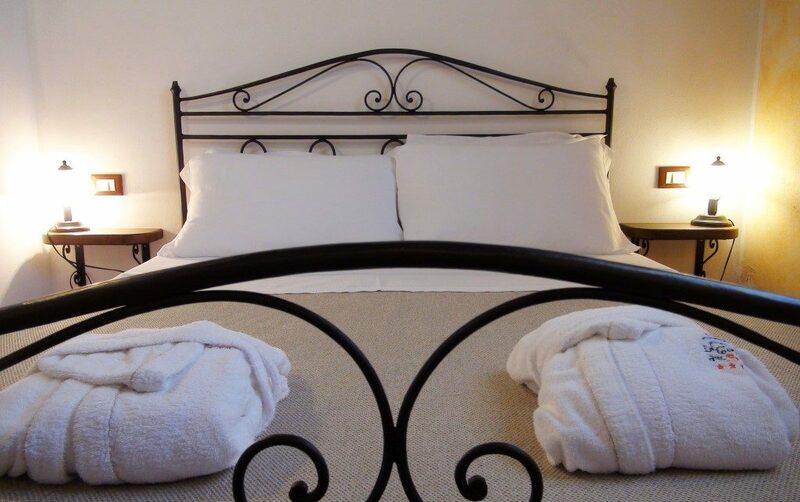 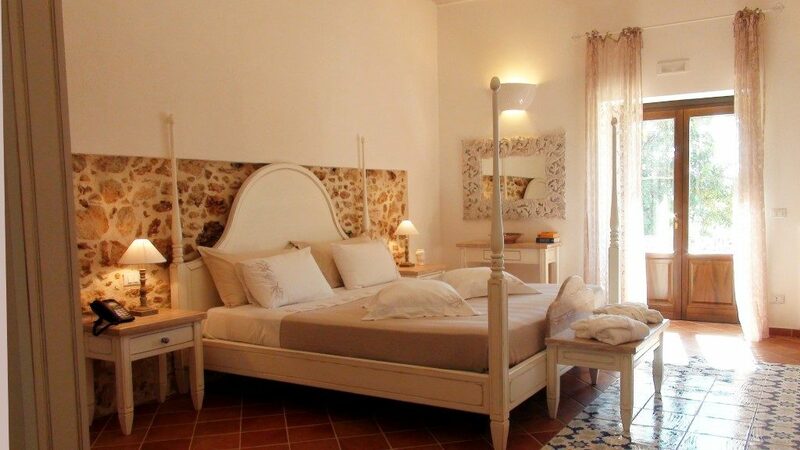 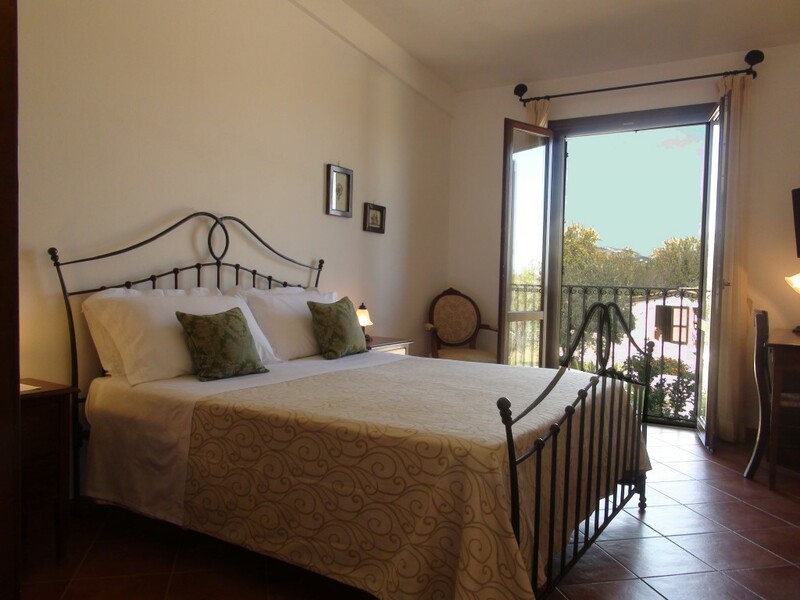 Set in a part of the Villa del Grano, this double bedroom has a private entrance from the garden. 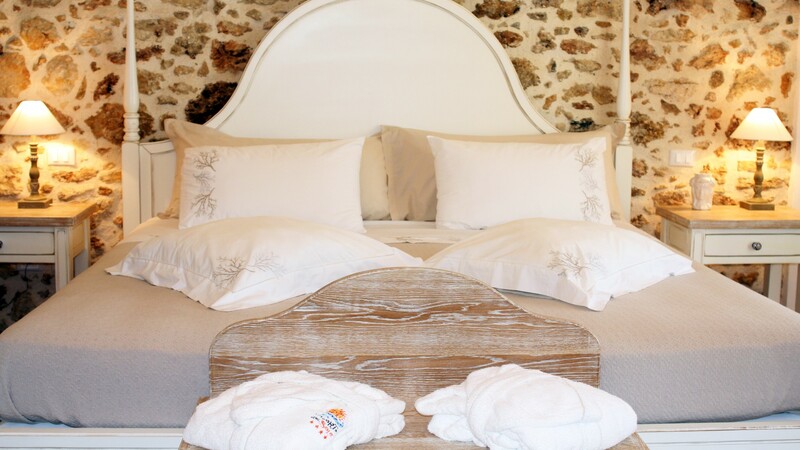 Its stone walls and country style are a tribute to the old Sicilian memories. 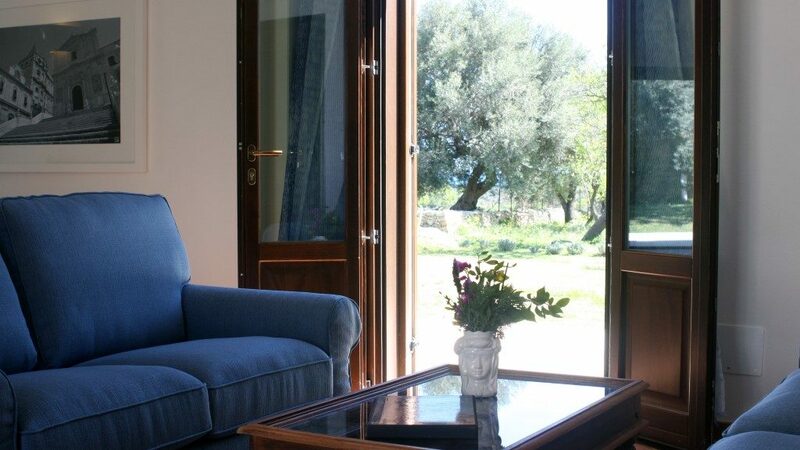 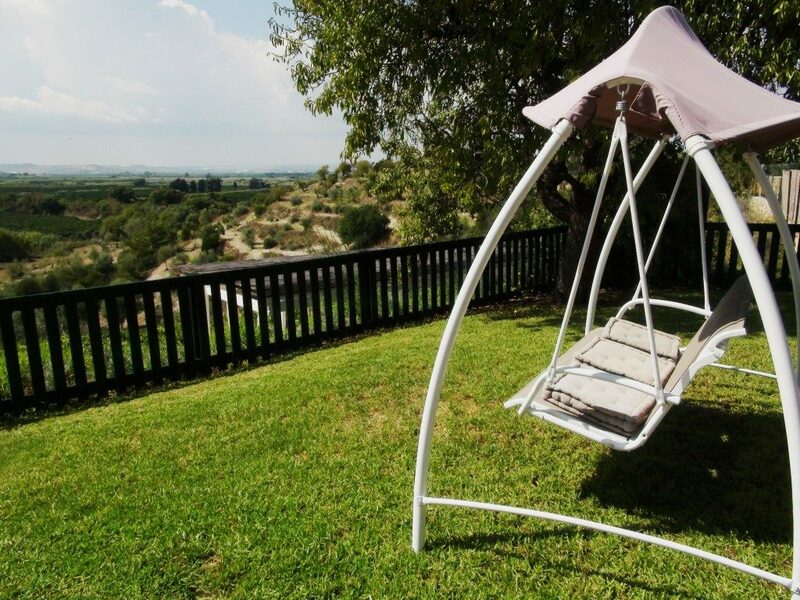 The Eloro room has also a private outdoor area with a view on the almond grove and on the Vendicari Reserve. 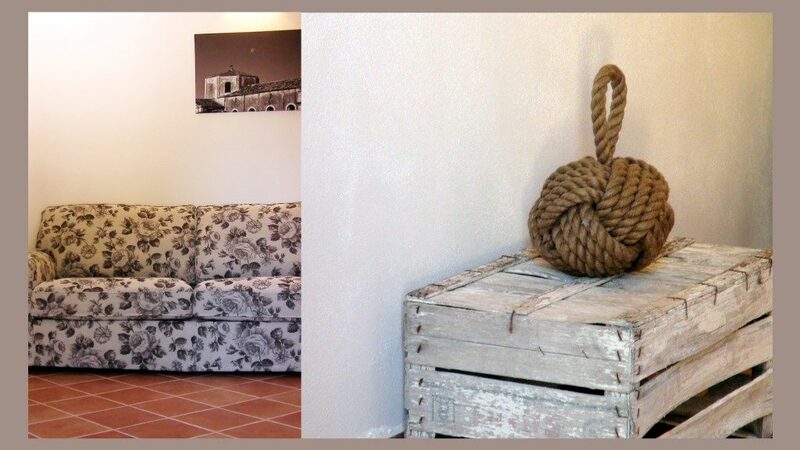 The antique barn of the masseria, with an incredible view of the sea and of the Colonna Pizzuta, an ancient Roman monument, has become a luxury dépendance, in an intimate position that is just a few meters away from the hotel, with wide indoors, outdoor relax area, inside and outside kitchen, patio, surrounded by a wide lawn with almond trees. 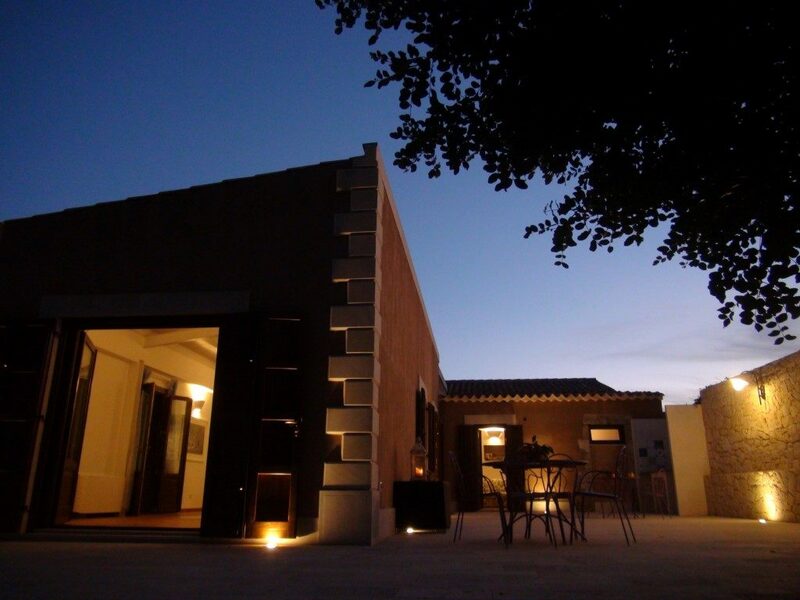 At sunset Villa del Grano is lit by the amazing pink lights of the sunset over Vendicari, inviting its guests to stay al fresco for an aperitivo while enjoying the view. 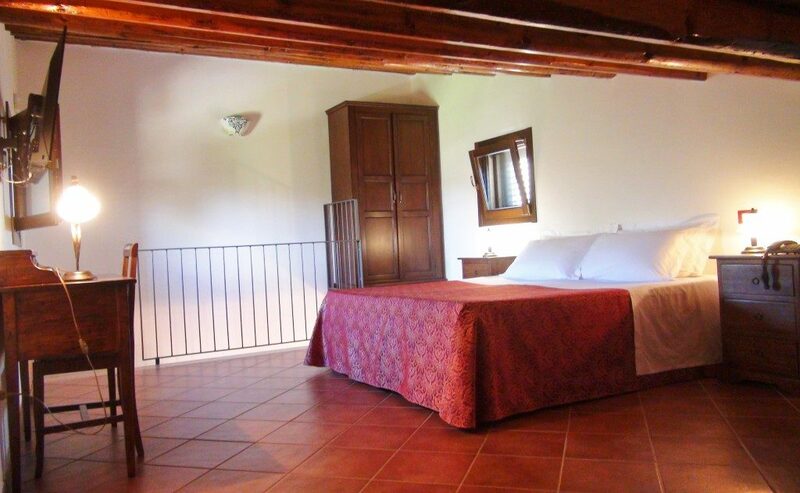 Five guests can stay in the Calabianca suite, other two in the Eloro Room and there is another sofa bed in the living area. 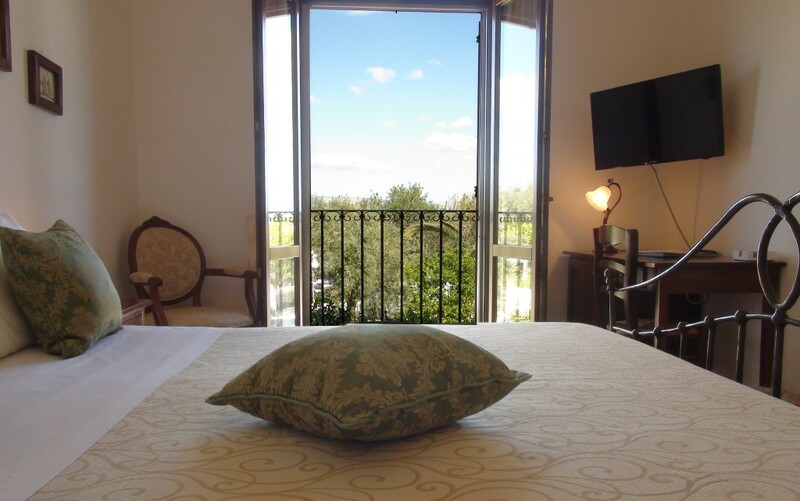 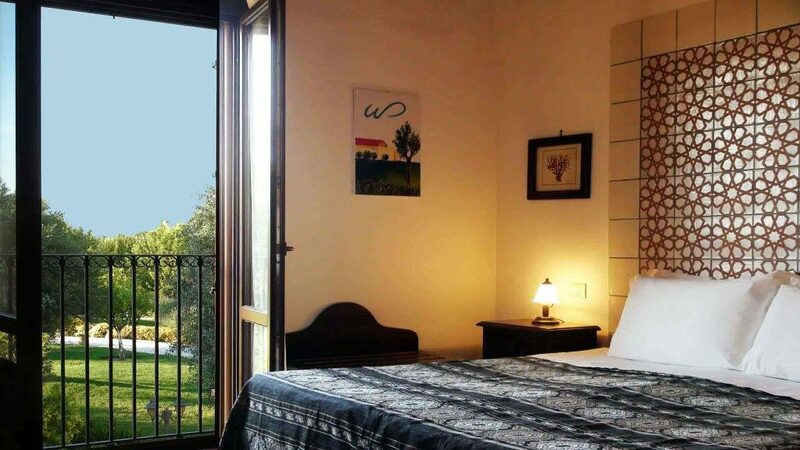 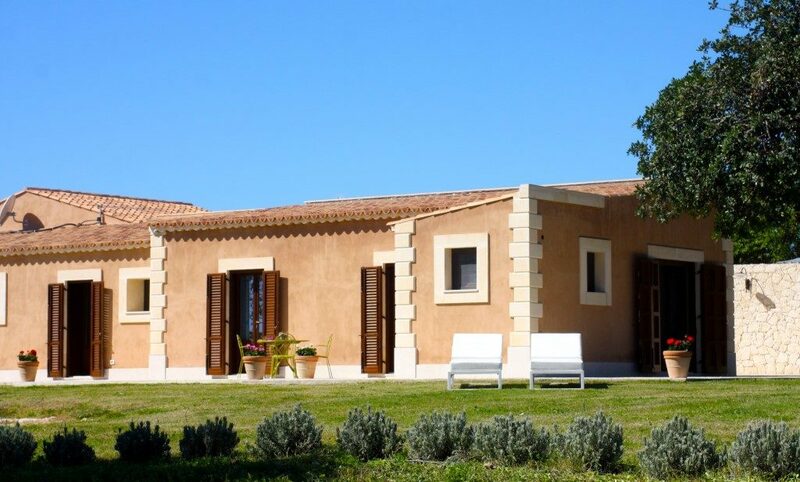 The Villa del Grano can be rented as independent unity, it can accommodate up to 7/9 people (at the most 6 adults), but it is suitable to various uses: the suite Calabianca and/or the Eloro room can be reserved as separated rooms. 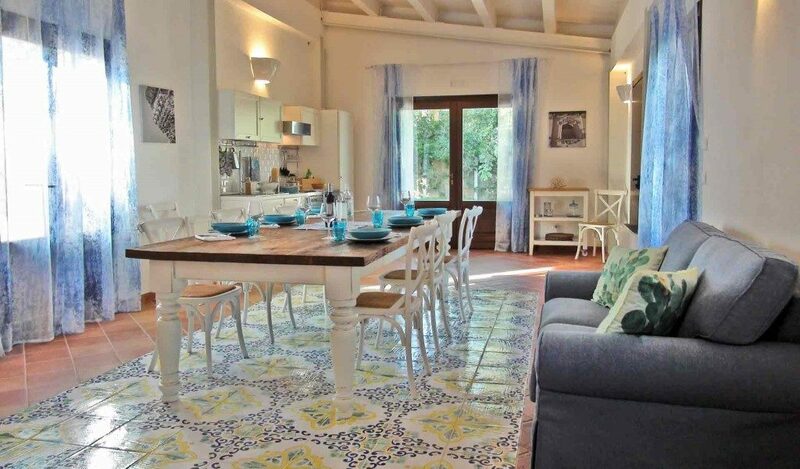 The large living area consists of a living room of about 50 square meters, with a kitchenette, living room, equipped with bright French doors and a large convivial table. 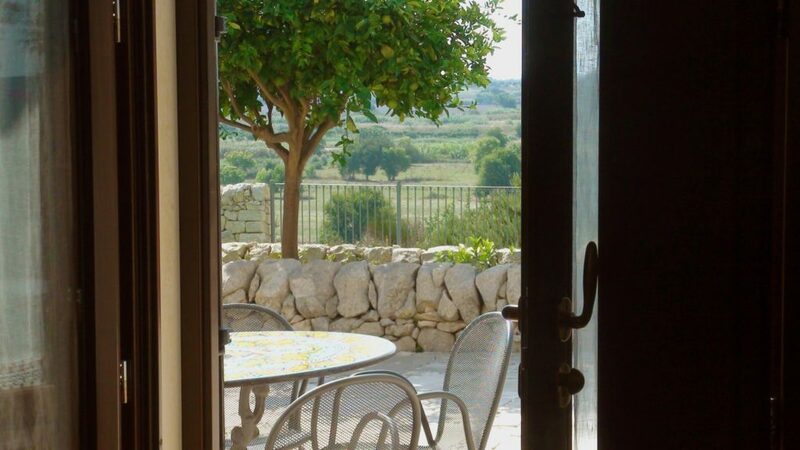 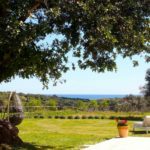 In the outdoor patio, paved in local stone, there is a kitchenette, where under the shadow of a centenary carob tree you can enjoy the wonderful view of wheat fields and the blue colour of the Eloro sea. 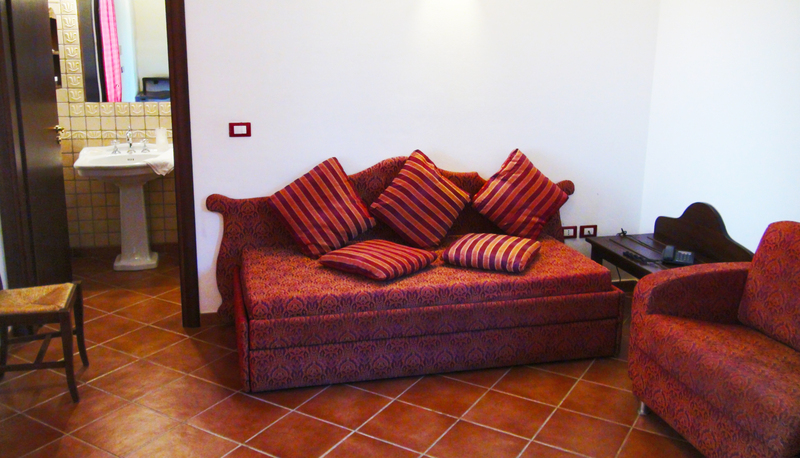 1 double bedroom with single sofa bed, 1 double bedroom, 1 room with double sofa bed, 1 living with double sofa bed. 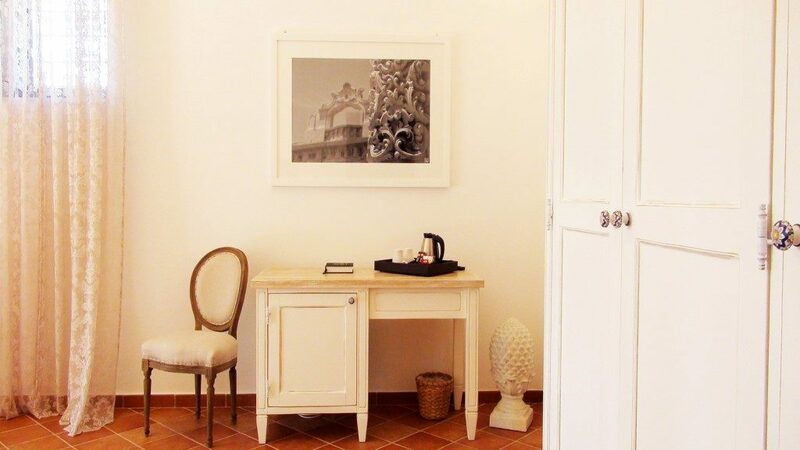 If you use the online booking form, the system may display rooms as UNAVAILABLE for the period you requested. 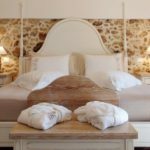 If this is the case, send us an email to info@lacortedelsole.it to learn about the availability of the rooms that aren’t included in the online system, and that can be only booked with a direct request. 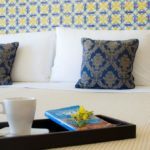 Half board includes dinner at the hotel restaurant with a daily menu: dishes change everyday and guests can choose from a Land menu with meat dishes, a Sea menu with fish dishes and a Vegetarian menu with light dishes. 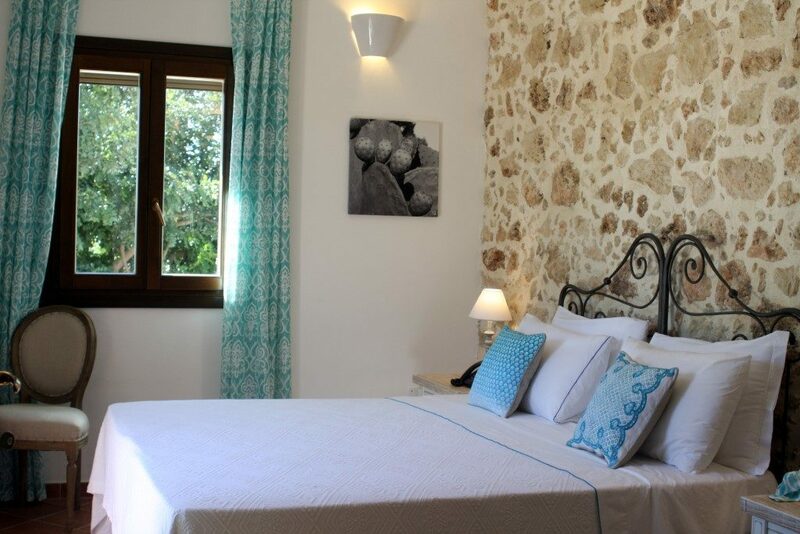 We do not usually accept reservation for less than 7 nights during August but you can feel free to contact us the same to verify if there are available rooms. 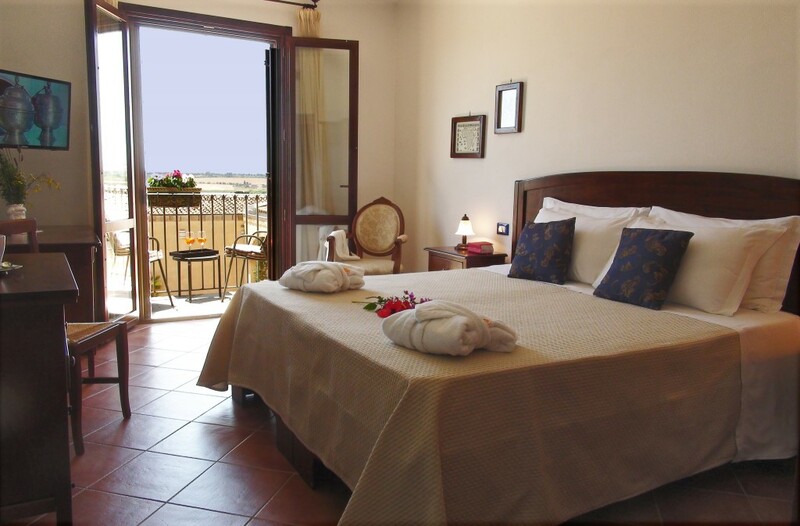 Animals are not admitted in the hotel with the exception of small dogs only in dedicated rooms if there is availability (no animals in the Oasis and Romantic rooms). 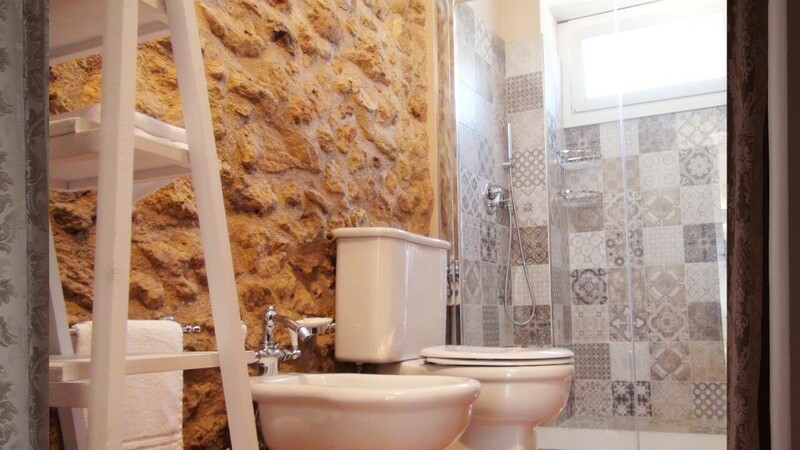 An additional fee for cleaning is asked when in presence of small dogs. 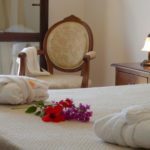 Tourist tax is not included in room fares. 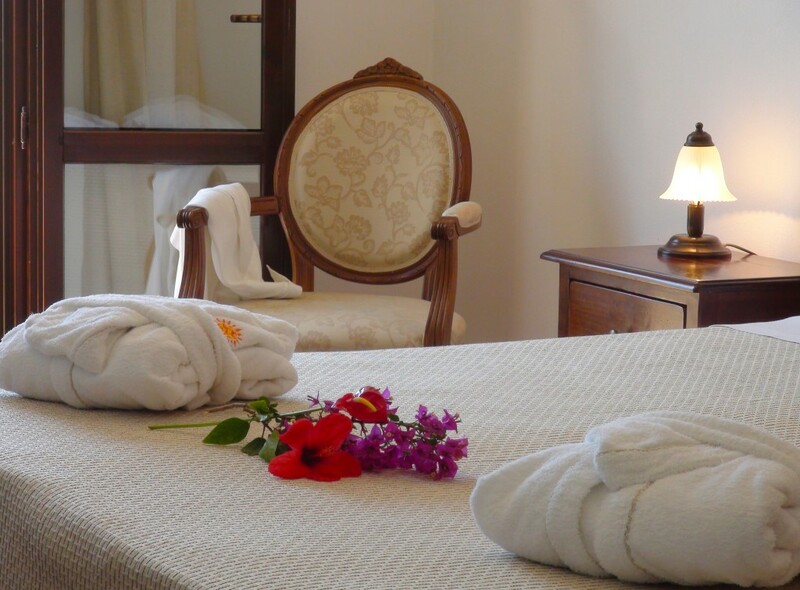 The requested tourist tax is € 1,50 per person per day for a maximum of 4 days. 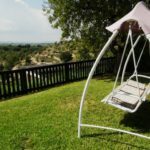 It does not apply to chilren under 14, over 75 and to other particular categories. 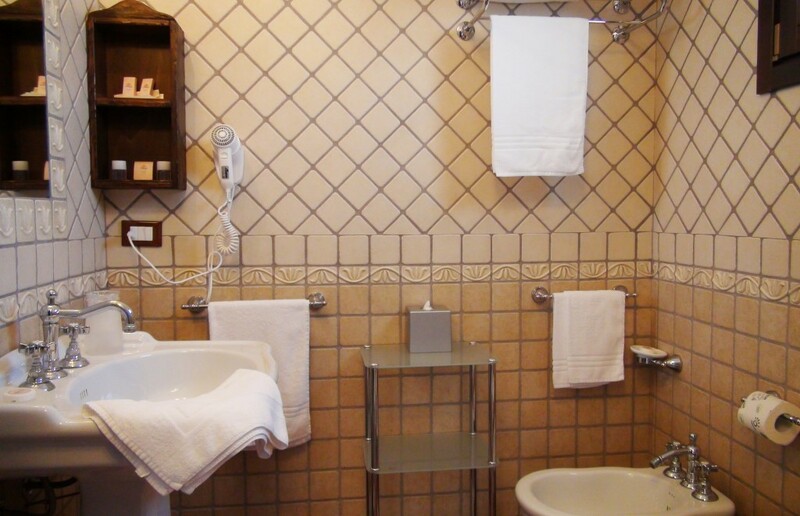 Tourist tax will be paid in the hotel at the end of your staying.